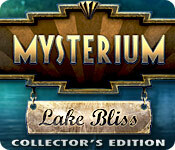 Mysterium™: Lake Bliss Collector's Edition is rated 3.7 out of 5 by 43. Rated 5 out of 5 by crisgori from Almost perfect I really love this game: it has nice graphics, good lenght both in the main game and in the bonus chapter, a pleasent plot, nice puzzles and HOS. Last but not least the collectibles are very well hidden. The only complaint I have is the black bands aside on the screen of my laptop. Worth of a CE. Rated 5 out of 5 by pifus from great game to have fun! I did not know what to do on New Year's weekend. So, I decided to play something. Chose Lake Bliss... and the time has flown by. I liked the challenging puzzles, and a well-drawn locations to find items. I note that the game is pretty scary (thank's to one female character...). I'm going to finish this game again to earn all of the achievements. 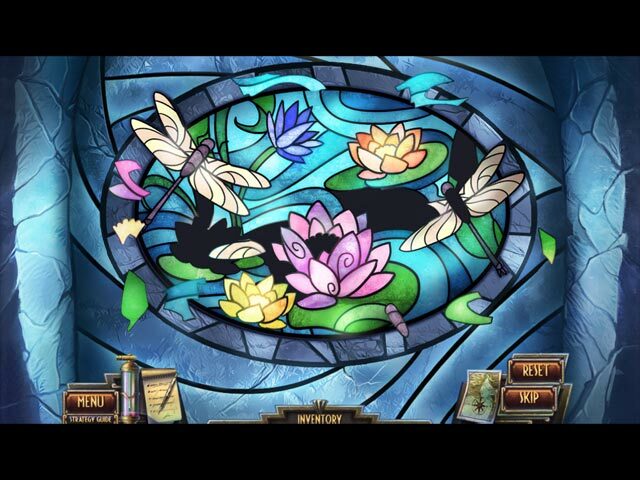 Also pleased with the presence of the little bonus Hidden Object game. Rated 5 out of 5 by Melonenmond from Ablolutely loved it Great game! 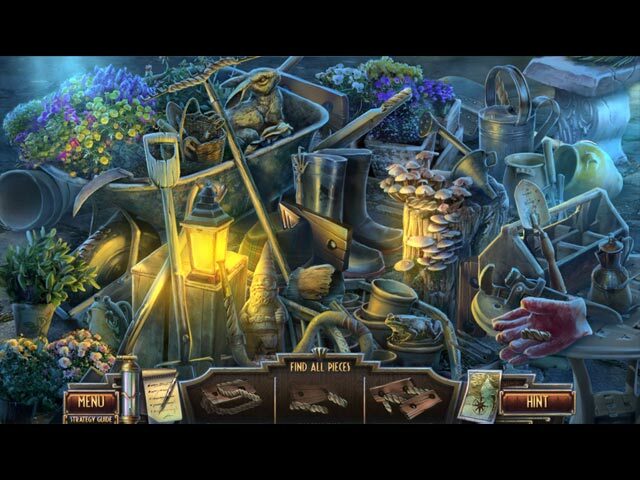 It offers an interesting storyline, great puzzles, different hidden object styles! I really liked playing it! Rated 5 out of 5 by Grillsargeant from Great feel and graphics Game was fun to play. Kept my interest and made me want to not stop! Try it out! Rated 5 out of 5 by carb7250 from Loved it I really liked this game. The storyline was motivating and made me want to keep playing. Rated 5 out of 5 by LADY_BLADE from TOTALLY BLISS FOR ME!!!! GRAPHICS are gorgeously picturesque of the times. The detail is incredible. HOS are very nicely done - a little crowded, but not excessively, and the objects are spread out and large enough that you're not pixel hunting. PUZZLES are widely varied and somewhat easy so that even novices won't get discouraged solving them. MYSTERY involving disappearing men with a 200-year calendar. Now, who would need such a calendar and why are they walking into the lake? Lots of adventure with HOS and puzzles in the right proportion. ANIMATION is spectacular and used in the right places. Collect spectral fluid when it appears, so you know there's a paranormal aspect here. Don't understand the mediocre reviews so far. Game has a lot to offer. JOURNAL has your clues and objectives. HINT system is very precise, giving thorough instructions on what to do in casual mode if you want it - usually on where you need to go next. MAP is very large and shows where there are activities to do. Rated 5 out of 5 by FORTUNATUS from Adventure heavy = bliss for me :) I had to purchase this game after trialing it... the graphics are extremely appealing IMHO [very, very nice], sound good, puzzles average but good, and the adventure aspect, GREAT. I always play on the most difficult setting unless I'm Demoing and want to skip some of the HOG's more quickly to cover ground and make a decision. My decision on this is a definite BUY. Give the demo a whirl... it will tell you whether this is a game for you or not.... for me DEFINITELY; I love adventure and this one plays with more of an intuitive interface. The story is interesting and different. A welcomed change of pace for sure. Thank you DEVS and BFG ! Rated 5 out of 5 by woolfood from it's cool game with mysterious story The game with nice, very clear art, classical hidden object scenes and mysterious story. 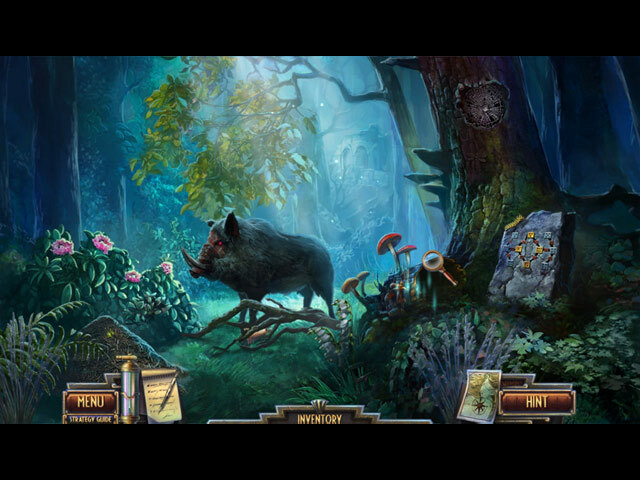 Just good adventure-hidden object game as it should be, I miss games like this.